Recently I have been following news of how Music in our Secondary schools is a declining subject. The article below is particularly close to my heart as I am privaleged to be a part of Warwickshire Music Hub, providing support to over 170 Schools across the county, and counting. Warwickshire is a county with a vibrant music community, and The Warwickshire Music Hub is proud to play a central role in this. From Early Years, through Primary, Secondary and even on to Adult Education, we are involved in projects, tuition, orchestras, events, and so much more. With over 3000 instruments in our inventory, each one available for children and young adults to hire and learn we feel that our close partnership with schools is key to our young people's success in Music. Together we will strive to ensure the continued Success of Music in Warwickshire, and we encourage our colleagues in Secondary education work ever closer with us as we continue to build on the tradition of great music in Warwickshire. 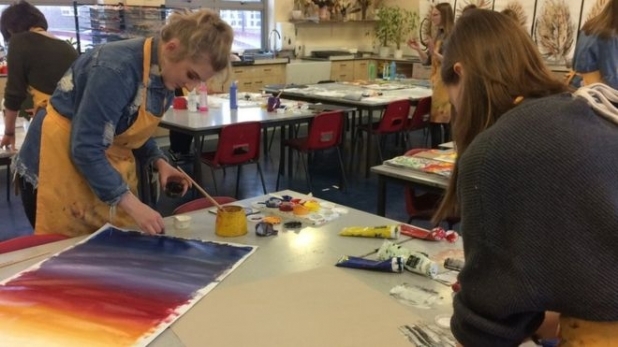 Creative arts subjects are being cut back in many secondary schools in England, a BBC survey suggests. More than 1,200 schools provided information - over 40% of secondary schools. Of the schools that responded, nine in every 10 said they had cut back on lesson time, staff or facilities in at least one creative arts subject. The government says increasing teaching of academic subjects is a priority - though not at the expense of arts. However, schools told the BBC that the increased emphasis on core academic subjects, together with funding pressures, were the most common reasons for cutting back on resources for creative subjects. The data provides an up-to-date snapshot of decisions being made in secondary schools. The findings suggest music, art and drama, as well as design and technology are all being squeezed. Of the schools responding, four in 10 were spending less money on facilities, more than three out of 10 had reduced timetabled lessons, and some reported having fewer specialist staff. In both art and music, one out of 10 schools said it was increasingly relying on voluntary donations by parents. Extra-curricular clubs were also being cut back in a similar proportion of schools responding. Jez Bennett, a musician and head teacher of Elizabeth Woodville school, in Northamptonshire, said: "I've had to make some decisions about whether I can afford to run certain classes, and I know that there are schools that have cut GCSEs in art, music, drama, photography." Hello. My name is Jeremy and I am rapidly approaching my 57th birthday (how did that happen?). I have four children, my oldest daughter - Becky - is 33 and my youngest son - Sebastian - is 13 (how did THAT happen!). I have two grandchildren, Cody is three and Eliza was one just two weeks ago. Why am I telling you this? My job is Director of Warwickshire Music, but that’s not what I am. What I am and what I believe is defined by my circumstances and my experience. What I believe is that my children and grandchildren deserve an education at least as good as mine; and hopefully better. As I look back over an increasingly long time span to my primary school education I have to confess that it was rather bland. I have very few vivid memories from that time. One clear memory I do have is sitting in assembly and listening to one of the teachers playing the euphonium. He played in a local brass band and his performance clearly had a big influence on me. There was no opportunity to learn an instrument in my primary school but there was when I went to secondary school. There was one instrument in the music cupboard - a rather battered old trumpet. So I took that and starting playing... and now I can look back on a kaleidoscope of vivid memories based around my musical experiences. I remember my first concert as if it was yesterday. I was terrified and am sure that I didn't play a note because my mouth dried up and I couldn't blow! Although this perhaps is not a positive memory it was certainly a highly influential one and led to many more positive and pleasant memories to look back on. We all understand the value of memorable learning; learning that is embedded because it is based on an emotional response. I believe passionately in the power of music to create memorable learning that can influence a child for the rest of their life. I have never talked to any colleague in schools who did not value music and the arts. I have spoken to many colleagues who are finding it increasingly challenging to give children the range of opportunities they deserve; and all too often it is music and the arts that have to disappear from a child's experience at school. Emotional learning embeds memorable learning. If young people are to become fully rounded adults they need a range of memorable experiences that will allow them to grow and develop; that will give them a richness of understanding and will give them wisdom and insight. This is why music and the arts are so important. According to the No Child Left Behind Act, the following are defined as, “core academic subjects”: English, reading or language arts, mathematics, science, foreign languages, civics and government, economics, the arts [emphasis added], history, and geography (Benefits of the Study 1). Although music, being a part of the arts, is supposedly on the same level as other academic subjects, it is not being treated as such. Music education greatly enhances students’ understanding and achievement in non-musical subjects. For example, a ten-year study, which tracked over 25,000 middle and high school students, showed that students in music classes receive higher scores on standardized tests than students with little to no musical involvement. The musical students scored, on average, sixty-three points higher on the verbal section and forty-four points higher on the math sections of the SATs than non-music students (Judson). When applying to colleges, these points could be the difference between an acceptance letter and a rejection letter. Furthermore, certain areas of musical training are tied to specific areas of academics; this concept is called transfer. According to Susan Hallam, “Transfer between tasks is a function of the degree to which the tasks share cognitive processes” (5-6). To put this simply, the more related two subjects are, the more transfer will ensue. This can be evidenced with the correlation between rhythm instruction and spatial-temporal reasoning, which is integral in the acquisition of important math skills. The transfer can be explained by the fact that rhythm training emphasizes proportions, patterns, fractions, and ratios, which are expressed as mathematical relations (Judson). Transfer can be seen in other academic subjects as well. For example, in a 2000 study of 162 sixth graders, Ron Butzlaff concluded that students with two or three years of instrumental music experience had significantly better results on the Stanford Achievement Test (a verbal and reading skills test) than their non-musical counterparts (qtd. in Judson). This experiment demonstrates that music can affect improvement in many different academic subjects. All in all, it can be shown that music education is a worthwhile investment for improving students’ understanding and achievement in academic subjects. Related to academic achievement is success in the workforce. The Backstreet Boys state that, “Practicing music reinforces teamwork, communication skills, self-discipline, and creativity” (Why Music?). These qualities are all highly sought out in the workplace. Creativity, for example, is, “one of the top-five skills important for success in the workforce,” according to Lichtenberg, Woock, and Wright (Arts Education Partnership 5). Participation in music enhances a student’s creativeness. Willie Jolley, a world-class professional speaker, states that his experience with musical improvisation has benefited him greatly regarding business. Because situations do not always go as planned, one has to improvise, and come up with new strategies (Thiers, et. al). This type of situation can happen in any job; and when it does, creativity is key. Similarly, music strengthens a person’s perseverance and self-esteem—both qualities that are essential in having a successful career (Arts Education Partnership 5). Thus, music education can contribute to students’ future careers and occupational endeavors. Participation in music also boasts social benefits for students. Music is a way to make friends. Dimitra Kokotsaki and Susan Hallam completed a study dealing with the perceived benefits of music; in their findings they wrote, “Participating in ensembles was also perceived as an opportunity to socialize with like-minded people, make new friends and meet interesting people, who without the musical engagement they would not have had the opportunity to meet” (11). Every time a student is involved in music, they have the chance to meet new people, and form lasting friendships. Likewise, in a study by Columbia University, it was revealed that students who participate in the arts are often more cooperative with teachers and peers, have more self-confidence, and are better able to express themselves (Judson). Through one activity, a student can reap all of these benefits, as well as numerous others. Moreover, the social benefits of music education can continue throughout a student’s life in ways one would never suspect. An example of this would be that “students who participate in school band or orchestra have the lowest levels of current and lifelong use of alcohol, tobacco, and illicit drugs among any other group in our society” (Judson). By just participating in a fun school activity, students can change their lives for the better. Music education can help students on their journey to success. Chinese philosopher Confucius once stated, “Music produces a kind of pleasure which human nature cannot do without” (Arts Education Partnership 1). Music education provides personal benefits to students that enrich their lives. In the study of perceived benefits of music by Dimitra Kokotsaki and Susan Hallam, it was found that “participating in an ensemble enhanced feelings of self-achievement for the study’s participants, assisted individuals in overcoming challenges, built self-confidence, and raised determination to make more effort to meet group expectations regarding standards of playing” (12). In an ensemble, every member is equally important, from the first chair to the last chair. Thus every person must be able to play all of their music and be ready for anything. When one person does not practice their music and comes to rehearsal unprepared, it reflects upon the whole ensemble. Needless to say, no one wants to be that person. So students take it upon themselves to show that they want to be there and come prepared. This type of attitude continues throughout students’ lives. Furthermore, group participation in music activities can assist in the development of leadership skills (Kokotsaki and Hallam 13). One participant in the perceived benefits of music study stated that, “I have gained confidence in my leadership skills through conducting the Concert Band” (Kokotsaki and Hallam 28). Conducting an ensemble is just one of the many leadership opportunities available to music students. Music can also be a comforting activity to many students. High school senior and school band member Manna Varghese states that for her, music is a way to relieve stress. When she is angry or frustrated, she likes to play flute or piano to relax. For students, music classes are not necessarily something they participate in for a grade, or to put on a college application. Students participate in music classes because they enjoy them and want to be there. Even though it has been proven that music education benefits students, many people argue that it still should not be required in schools. They state that with the increasing importance placed on standardized testing, there is not enough class time to include music classes (Abril and Gault 68). However, it has been shown that the time students spend in music classes does not hinder their academic success. A study by Hodges and O’Connell found that “being excused from non-musical classes to attend instrumental lessons does not adversely affect academic performance” (Hallam 14). Thus, in reality, having students enroll in music classes would not be detrimental to their academic performance, and the students would then be able to reap all of the benefits that come with music education. Furthermore, funding for music education is an issue at many schools. The people in charge of determining funding for schools often choose to fund traditional academic classes over arts programs. Paul Harvey states, “Presently, we are spending twenty-nine times more on science than on the arts, and the result so far is worldwide intellectual embarrassment” (Hale 8). Clearly, the current system for the allocation of funds for schools is not adequate. By transferring some of the funding from traditional academic classes to music classes, this embarrassment could be avoided. Evidently, although some may try to argue against it, music education should be required in all schools. Abril, Carlos A., and Brent M. Gault. “The State of Music in Secondary Schools: The Principal’s Perspective.” Journal of Research in Music Education 56.1 (2008): 68-81. JSTOR. Web. 19 Oct. 2013. Arts Education Partnership, comp. Music Matters: How Music Education Helps Students Learn, Achieve, and Succeed. Washington D.C.: n.p., 2011. Print. Hale, Donna Sizemore. “Stay Involved to Protect the Arts.” American String Teacher 63.3 (2013): 8. ProQuest. Web. 19 Oct. 2013. Hallam, Susan. “The power of music: its impact on the intellectual, social and personal development of children and young people.” International Journal of Music Education 28.3 (2010): 269-89. Print. Judson, Ellen. “The Importance of Music.” Music Empowers Foundation. N.p., n.d. Web. 1 Oct. 2013. Kokotsaki, Dimitra, and Susan Hallam. “Higher Education music students’ perceptions of the benefits of participative music making.” Music Education Research 9.1 (2007): n. pag. Google Scholar. Web. 26 Oct. 2013. National Association for Music Education, comp. The Benefits of the Study of Music. N.p. : n.p., 2007. Print. Thiers, Genevieve, et al. “Music Education and Success…From the Band Room to the Board Room.” Everything We Needed to Know About Business, We Learned Playing Music. By Craig M. Cortello. N.p. : n.p., n.d. NME.com. Web. 18 Oct. 2013. Varghese, Manna. Personal interview. 24 Oct. 2013. Tags: 2014 Essay Contest Alexis Kalivretenos is the first-prize winner of the 2014 Humanist Essay Contest. Whether your child is the next Beyonce or more likely to sing her solos in the shower, she is bound to benefit from some form of music education. Research shows that learning the do-re-mis can help children excel in ways beyond the basic ABCs. Research has found that learning music facilitates learning other subjects and enhances skills that children inevitably use in other areas. “A music-rich experience for children of singing, listening and moving is really bringing a very serious benefit to children as they progress into more formal learning,” says Mary Luehrisen, executive director of the National Association of Music Merchants (NAMM) Foundation, a not-for-profit association that promotes the benefits of making music. Making music involves more than the voice or fingers playing an instrument; a child learning about music has to tap into multiple skill sets, often simultaneously. For instance, people use their ears and eyes, as well as large and small muscles, says Kenneth Guilmartin, cofounder of Music Together, an early childhood music development program for infants through kindergarteners that involves parents or caregivers in the classes. “Music learning supports all learning. Not that Mozart makes you smarter, but it’s a very integrating, stimulating pastime or activity,” Guilmartin says. “When you look at children ages two to nine, one of the breakthroughs in that area is music’s benefit for language development, which is so important at that stage,” says Luehrisen. While children come into the world ready to decode sounds and words, music education helps enhance those natural abilities. “Growing up in a musically rich environment is often advantageous for children’s language development,” she says. But Luehrisen adds that those inborn capacities need to be “reinforced, practiced, celebrated,” which can be done at home or in a more formal music education setting. According to the Children’s Music Workshop, the effect of music education on language development can be seen in the brain. “Recent studies have clearly indicated that musical training physically develops the part of the left side of the brain known to be involved with processing language, and can actually wire the brain’s circuits in specific ways. Linking familiar songs to new information can also help imprint information on young minds,” the group claims. A study by E. Glenn Schellenberg at the University of Toronto at Mississauga, as published in a 2004 issue of Psychological Science, found a small increase in the IQs of six-year-olds who were given weekly voice and piano lessons. Schellenberg provided nine months of piano and voice lessons to a dozen six-year-olds, drama lessons (to see if exposure to arts in general versus just music had an effect) to a second group of six-year-olds, and no lessons to a third group. The children’s IQs were tested before entering the first grade, then again before entering the second grade. Surprisingly, the children who were given music lessons over the school year tested on average three IQ points higher than the other groups. The drama group didn’t have the same increase in IQ, but did experience increased social behavior benefits not seen in the music-only group. Research indicates the brain of a musician, even a young one, works differently than that of a nonmusician. “There’s some good neuroscience research that children involved in music have larger growth of neural activity than people not in music training. When you’re a musician and you’re playing an instrument, you have to be using more of your brain,” says Dr. Eric Rasmussen, chair of the Early Childhood Music Department at the Peabody Preparatory of The Johns Hopkins University, where he teaches a specialized music curriculum for children aged two months to nine years. In fact, a study led by Ellen Winner, professor of psychology at Boston College, and Gottfried Schlaug, professor of neurology at Beth Israel Deaconess Medical Center and Harvard Medical School, found changes in the brain images of children who underwent 15 months of weekly music instruction and practice. The students in the study who received music instruction had improved sound discrimination and fine motor tasks, and brain imaging showed changes to the networks in the brain associated with those abilities, according to the Dana Foundation, a private philanthropic organization that supports brain research. Research has also found a causal link between music and spatial intelligence, which means that understanding music can help children visualize various elements that should go together, like they would do when solving a math problem. “We have some pretty good data that music instruction does reliably improve spatial-temporal skills in children over time,” explains Pruett, who helped found the Performing Arts Medicine Association. These skills come into play in solving multistep problems one would encounter in architecture, engineering, math, art, gaming, and especially working with computers. A study published in 2007 by Christopher Johnson, professor of music education and music therapy at the University of Kansas, revealed that students in elementary schools with superior music education programs scored around 22 percent higher in English and 20 percent higher in math scores on standardized tests, compared to schools with low-quality music programs, regardless of socioeconomic disparities among the schools or school districts. Johnson compares the concentration that music training requires to the focus needed to perform well on a standardized test. Music can improve your child’ abilities in learning and other nonmusic tasks, but it’s important to understand that music does not make one smarter. As Pruett explains, the many intrinsic benefits to music education include being disciplined, learning a skill, being part of the music world, managing performance, being part of something you can be proud of, and even struggling with a less than perfect teacher. While parents may hope that enrolling their child in a music program will make her a better student, the primary reasons to provide your child with a musical education should be to help them become more musical, to appreciate all aspects of music, and to respect the process of learning an instrument or learning to sing, which is valuable on its own merit. Warwickshire Music Hub is leading two exciting singing projects this year. The first is a partnership with Ex-Cathedra, supported by funding from Arts Council England. This partnership involves 11 primary schools and around 2,000 children and adults; culminating in a singing day at the University of Warwick Arts Centre on March 11th. The second project is a partnership between Warwickshire Music Hub, Coventry Music Hub and 4 secondary schools, supported by funding from Youth Music. This project is creating a choir of 100 young people, ideally who are not used to singing in choirs, with the focus of two major performances in 2016. By definition projects such as these, supported by external funding, are created with very definite start and finish dates and clearly quantifiable objectives i.e. how many children are involved and what rehearsals/events are due to take place. This is all very worthy and very exciting for those involved. But the big question has to be - what happens next? All too often these excellent projects simply stop once the money runs out because they are time limited. Our challenge is how to create a more lasting legacy and the reality is that money is needed, whether through further funding or sponsorship or simply creating new groups that require membership fees. Getting the balance between time limited funded projects and creating something that lasts is a challenge - but one that is really worth exploring. The planning has to consider the future and what structures - in this case choral - are already in place. The primary school project 'Singing Playgrounds' should embed singing within the participating schools but that cannot be taken for granted and so discussions need to take place with the participating schools to see what support they might need to continue the positive outcomes of the project. The secondary school project is called the 'Joint Choir Creation Project'. Wouldn't it be great if the legacy was to actually create a brand new choir that met regularly after the project itself comes to an end? At the very least the young people involved deserve the option of continuing to sing; whether as part of a school based group or within a singing strategy created by the respective Music Hubs. This is where working in partnership with schools and other Hubs is potentially so powerful. The reality of creating lasting legacies is that all too often they are reliant on external funding. Our challenge is to create internal structures that are self reliant; and this starts with partnerships. I think we can all be forgiven for feeling that arts education is seen as the poor relation of every other school based curriculum subject. In this country the government is once again pushing forward on what it calls an ‘England Baccalaureate’. Details have still to be published but the Conservative Party election manifesto states that: ‘We will require secondary school pupils to take GCSEs in English, maths, science, a language and and history and geography, with Ofsted unable to award its highest ratings to schools that refuse to teach these core subjects’. It is the last statement that sends a chill down every educationalist concerned for the future of arts education. Of course the government will argue that this still leaves plenty of curriculum time for art subjects but the reality has to be seen against a backdrop of declining numbers of students taking ‘arts’ GCSE and A levels and a very real decline in the number of ‘arts’ teachers in schools. I am very aware of schools in Warwickshire that have moved from a music department of two to a music department of one teacher and a corresponding reduction in music teaching. My sister used to work three days a week as an art specialist in a local secondary school. The school has chosen to increase the curriculum time dedicated to the core subjects in anticipation of the move to the English Baccalaureate. This inevitably means a reduction in the amount of time dedicated to art subjects. The school is contractually obliged to offer my sister 3 days of teaching, so they have offered her 2 days of art teaching and one day of English and Maths; for which she has never been trained. Unsurprisingly my sister felt that this was not in her best interests and certainly not in the best interests of the students and has reluctantly accepted a new contract for 2 days teaching a week. The Incorporated Society of Musicians ( ISM ) is my professional body and they are constantly advocating for better music and arts provision in schools. Their Bacc for the Future campaign is gathering momentum and support from organisations such as Shakespeare’s Globe, The Liverpool Institute of Performing Arts (LIPA) the Music Industries Association (MIA). Directors UK, the Design Council, The University of the Arts London (UAL and the choir Schools’ Association. To get involved with the campaign please visit http://www.baccforthefuture.com and sign the vital petition. You can also tell your friends, family and colleagues about the campaign and spread the word on social media using the hashtag baccforthefuture. Nearly everyone enjoys music, whether by listening to it, singing, or playing an instrument. But despite this almost universal interest, many schools are having to do away with their music education programs. This is a mistake, with schools losing not only an enjoyable subject, but a subject that can enrich students’ lives and education. Read on to learn why music education is so important, and how it offers benefits even beyond itself. 1. Musical training helps develop language and reasoning: Students who have early musical training will develop the areas of the brain related to language and reasoning. The left side of the brain is better developed with music, and songs can help imprint information on young minds. 2. A mastery of memorization: Even when performing with sheet music, student musicians are constantly using their memory to perform. The skill of memorization can serve students well in education and beyond. 3. Students learn to improve their work: Learning music promotes craftsmanship, and students learn to want to create good work instead of mediocre work. This desire can be applied to all subjects of study. 4. Increased coordination: Students who practice with musical instruments can improve their hand-eye coordination. Just like playing sports, children can develop motor skills when playing music. 5. A sense of achievement: Learning to play pieces of music on a new instrument can be a challenging, but achievable goal. Students who master even the smallest goal in music will be able to feel proud of their achievement. 6. Kids stay engaged in school: An enjoyable subject like music can keep kids interested and engaged in school. Student musicians are likely to stay in school to achieve in other subjects. 7. Success in society: Music is the fabric of our society, and music can shape abilities and character. Students in band or orchestra are less likely to abuse substances over their lifetime. Musical education can greatly contribute to children’s intellectual development as well. 8. Emotional development: Students of music can be more emotionally developed, with empathy towards other cultures They also tend to have higher self esteem and are better at coping with anxiety. 9. Students learn pattern recognition: Children can develop their math and pattern-recognition skills with the help of musical education. Playing music offers repetition in a fun format. 10. 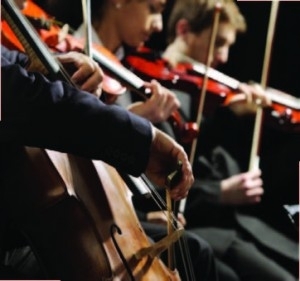 Better SAT scores: Students who have experience with music performance or appreciation score higher on the SAT. One report indicates 63 points higher on verbal and 44 points higher on math for students in music appreciation courses. 11. Fine-tuned auditory skills: Musicians can better detect meaningful, information-bearing elements in sounds, like the emotional meaning in a baby’s cry. Students who practice music can have better auditory attention, and pick out predictable patterns from surrounding noise. 12. Music builds imagination and intellectual curiosity: Introducing music in the early childhood years can help foster a positive attitude toward learning and curiosity. Artistic education develops the whole brain and develops a child’s imagination. 13. Music can be relaxing: Students can fight stress by learning to play music. Soothing music is especially helpful in helping kids relax. 14. Musical instruments can teach discipline: Kids who learn to play an instrument can learn a valuable lesson in discipline. They will have to set time aside to practice and rise to the challenge of learning with discipline to master playing their instrument. 15. Preparation for the creative economy: Investing in creative education can prepare students for the 21st century workforce. The new economy has created more artistic careers, and these jobs may grow faster than others in the future. 16. Development in creative thinking: Kids who study the arts can learn to think creatively. This kind of education can help them solve problems by thinking outside the box and realizing that there may be more than one right answer. 17. Music can develop spatial intelligence: Students who study music can improve the development of spatial intelligence, which allows them to perceive the world accurately and form mental pictures. Spatial intelligence is helpful for advanced mathematics and more. 18. Kids can learn teamwork: Many musical education programs require teamwork as part of a band or orchestra. In these groups, students will learn how to work together and build camaraderie. 19. Responsible risk-taking: Performing a musical piece can bring fear and anxiety. Doing so teaches kids how to take risks and deal with fear, which will help them become successful and reach their potential. 20. Better self-confidence: With encouragement from teachers and parents, students playing a musical instrument can build pride and confidence. Musical education is also likely to develop better communication for students. How to help your child with their instrumental learning. Five is a good number in terms of short term memory and motivation. Try remembering a series of more than five numbers and you will see what I mean. A expectation of no more than FIVE activities can be more motivational than too many targets. 1. FIVE minutes a day is a minimum practice for beginners. 2. Focus on FIVE elements within that time. This will include elements of practice such as posture, breathing, tone quality, scales, intonation, specific technical points, dynamics, etc. 3. FIVE days a week and two rest days. 4. Build up the FIVE minutes into FIVE sets of FIVE minutes a day. 5. Make one of the FIVE continuous playing to develop stamina and performance technique. 'Don't Stop The Music' is a two part documentary presented by pianist James Rhodes and is a heart warming celebration of the value of music on young children and a passionate plea for more music making to be made available to all children. 'In the last decade music education in this country has been decimated'. This was the claim by James Rhodes on national television. In the very same week we have a major report from the Associated Board of the Royal Schools of Music entitled 'Making Music'. This report states that '76 per cent of UK children aged five to 14 say they ‘know how to play instruments compared to 41 per cent in 1999’. Clearly there is a bit of a mis-match here. The truth as ever lies somewhere in between. What is true is that government funding has dropped dramatically over the last few years and music services up and down the country have had to get smarter about how they use their dwindling funding. What is true is that the Wider Opportunities whole class instrumental programme has meant that more children than ever before have had the chance to try out instruments. What is true is that music services are having to learn how to run a music business rather than a funded 'service' in the future. The final and most important truth is that here in Warwickshire the County Music Service is as strong as ever. We have seen a big increase in our teaching in Warwickshire schools this September. We work with thousands of children involved in our whole class instrumental 'Upbeat' programme. We involve hundreds of children involved in our after school and weekend area music centres and we have maintained and developed our County ensembles. This has been achieved through good management, inspired teaching, supportive parents and highly motivated students. 'Making Music' is an aspiration for all children in Warwickshire so please support us in what we do and 'Never Stop The Music'. This website is best viewed in Firefox or Chrome.